With thanks to Mary Villahermosa who posted this email on the LCN Company Scam post – as I suspected these scammers have now changed their name. At this moment we have full-time and partial position. RNT Company is a worldwide goods retailer so your central tasks will include sales support for deals held in Australia: keep the data of all the purchases and payments; communicate with our clients in America, Eastern Europe and Asia; do all the necessary service and support to our sales office. You will have up to 3500 AUD monthly plus benefits for the part-time vacancy and for full-time post – 5500 AUD monthly plus benefits. We have a probation period, during which you will be trained and guided. This period is also paid. Conditions are easy. You just need to have computer with access to the Internet, also basic Excel skills (the software must be pre-installed), negotiation experience. Please respond to us back. CV will be a great plus for our HR team. It seems these scammers were using a template from LMP Company and they have switched names because the very first result for LMP Company now leads to scamwarners. Now, LCN Company leads to my post that it is a scam. So they are now changing their name to RNT Company. So – please – do not tell scammers that their company name is listed here or anywhere else on the web as a scam – it will take them mere seconds to change their fake details and their new details will not be easily searchable for any future victims to find. How Do You Know This Job Is A Scam? This is a fake job scam. You can read more about how these scams work at Scamwatch. In this case it seems they are direct depositing stolen or fraudulent funds into the bank accounts of scam victims. The money will appear to be legit to begin with. They will ask you to transfer funds to them via Western Union or Moneygram. It may take up to a year for the transaction to be reversed but it WILL be reversed and when it is, you will be required to pay the money back to the bank. If your email was slightly different, or you have further emails from these scammers, please post them in the comments. Your comment will go to moderation and I will double check before it is posted to make sure there is no identifying information eg your email address or your details. I expect they will be spamming their scam posts out to a multitude of email addresses over coming days, so please help out and give us the email address they are using, so that other people searching for that email address can find this post. I gave them my bank account details? If you gave them the account name, BSB and account number, they can easily print fake cheques with that information. You definitely need to speak to your bank about this ASAP. In this particular instance, you may find they deposit a sum into your account – or they may send your account a payment from a stolen credit card. If that happens, DO NOT touch that money, because eventually the bank will reverse that payment. If it were my bank details, I would close that account as a matter of great urgency. Speak to your bank as soon as you can, and they will likely advise you to do that. I would advise anyone caught out by this scam to make a complaint to the Financial Ombudsman and also to Scamwatch via this form. 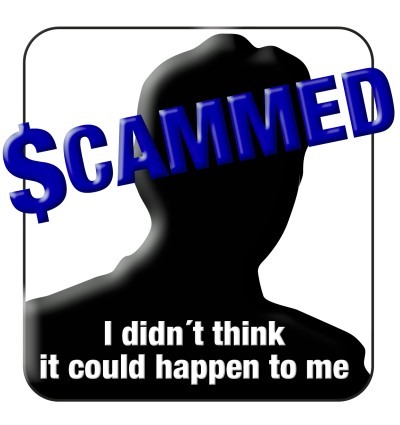 The scam victim may be able to sort out a deal with the bank where the bank pays some – or all – of the losses. You can see my collection of fake cheques collected from fake job scams here – Snoskred made 5 MILLION DOLLARS online this year! You can read more about internet safety and scams here – Internet Safety & Scams – What You Need To Know. Since it was posted on June 4th 2015, almost 9,000 people arrived at my website specifically by searching for words and email addresses that appeared in the LCN Company Team Scam post. That post received nearly 300 comments and I personally received and replied to hundreds of emails and contact forms with email addresses, URLs, further emails, and other important information which helped people find out that was a scam. For reading this post. Thank you for leaving a comment if you have any further information which will help other potential scam victims to find this post as well. 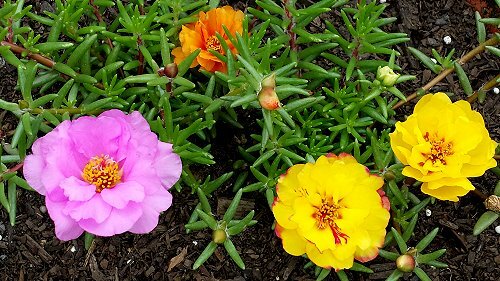 :) You can contact me privately via this page if you like, I will reply – usually within 24 hours – if you provide a valid email address. We would like to offer position of Administrative Assistant at our company. Please, find more information about us and this position below. RNT is a leading distributor of finest designer goods. Currently it is one of the most important specializing in online sales. With more than 5 years of experience in the designer goods industry. We offer a continuous renovation in our collections, following the latest trends in each country and season, thus satisfying the demand of clients. We always keep in mind that prices are an important factor when it comes to sales. 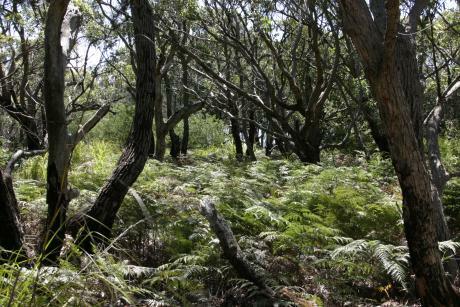 We are looking for a responsible person in Australia who will be ready to incur all necessary activities. Our candidate should be highly motivated. We believe that the experience is not the most important thing. The key to success is a fresh look and bold ideas! – Providing overall administrative maintenance such as making of letters, processing purchase orders and transaction reports etc. Hours: Full-time or part-time schedule possible. Your schedule can be irregular. For a part time variant – you will spend 3 hours per day average, from Monday to Friday. plus 5 percent commission. Full-time job pay is 1300AUD on a weekly basis plus commission. You will be on Probation period for your first month. it back to me via email or by fax +1-832-248-2766. If you have any questions, please feel free to ask. 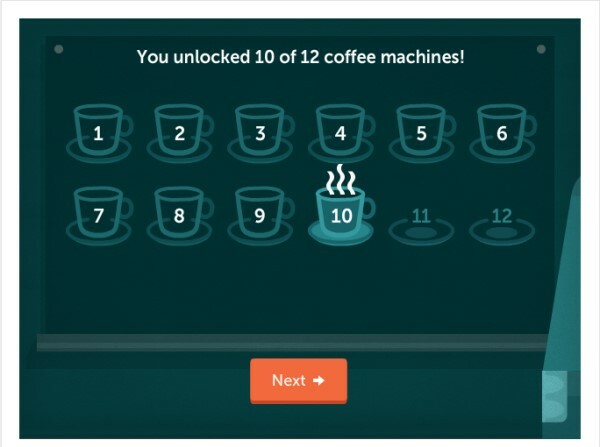 I may need some kind of intervention, because I can’t stop playing this game on Lumosity. I’ve been a member there since 2012 and I enjoy the brain training. I can tell you that it has improved my brain, in particular my maths and memory. So what is Trouble Brewing all about? Making coffee. 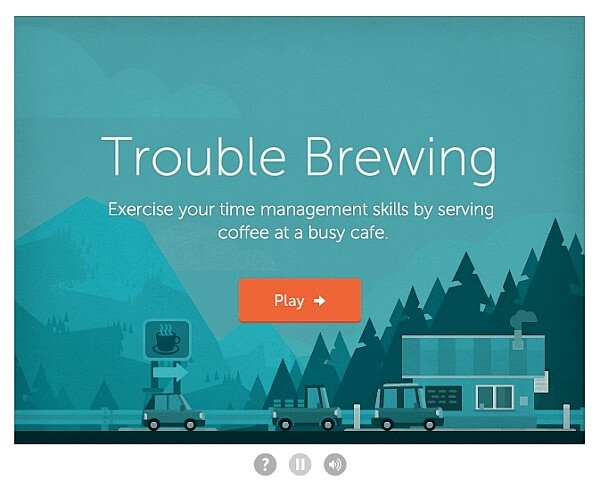 It is a divided attention time management game. It helps with multi-tasking and in general I was already pretty good at that to begin with considering that was what I did 6 hours a day 4-5 days a week in my last job. But this game has me challenged and pushing myself continually to get to the next level. 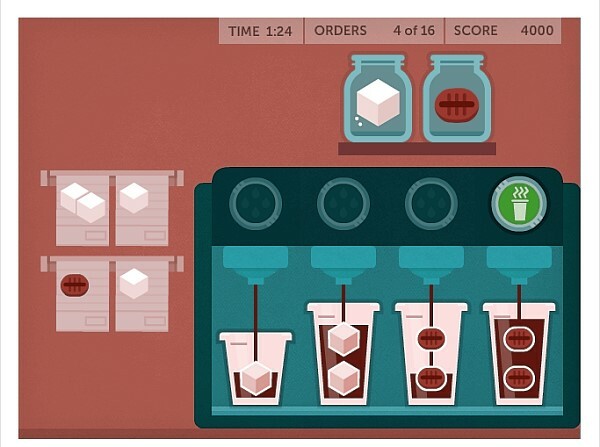 To begin with, it is all fun and games and relatively easy because the coffee making machine and the orders are all on the same page. 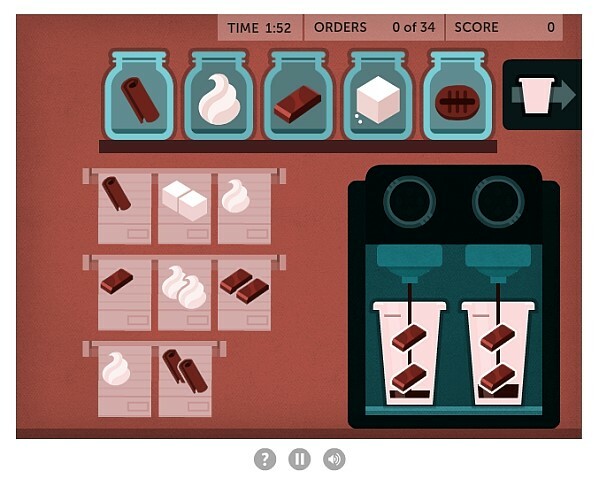 Cafe screen two – you can see the coffee level indicator is telling me that cups are nearly full on the other screen. 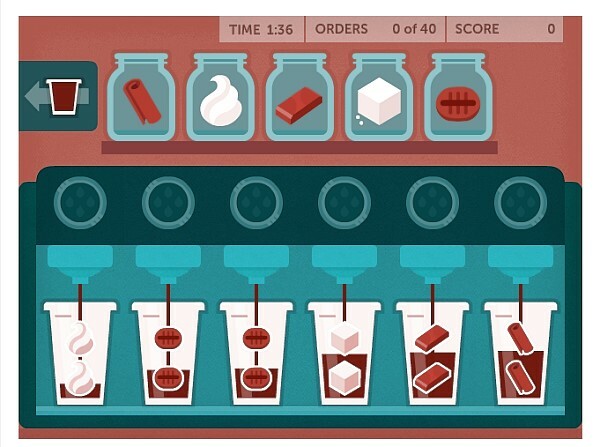 Each level you have to fill more orders but the time does not increase – at least it hasn’t yet. 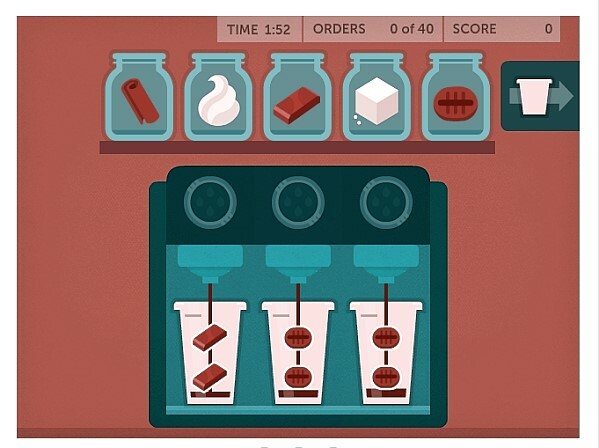 40 cups in two minutes on level 9.. that is a lot of orders to fill in two minutes! 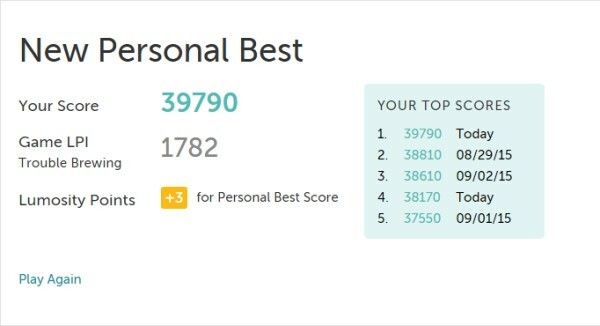 At the end of the game you get to see your score and your top 5 scores. As I write this on the 16th of August, I am stuck on level 9. It is my hope that one day soon all the stars will align and the moon will smile on me and I’ll do everything in exactly the right way in order to pass this level and move to level 10. FINALLY!!!!! 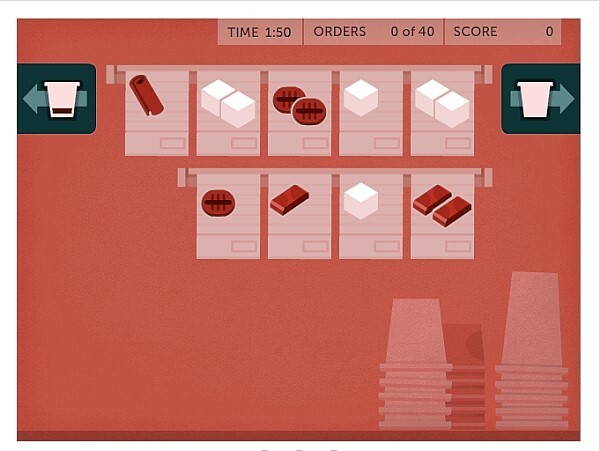 This is the day the stars aligned and the moon loved me enough to let me complete all 40 orders in 2 minutes. I’m still having trouble believing I finally got past level 9. Playing this game so much has made me better at the other divided attention *and* memory games because this game uses memory to remember what orders need to be filled. This week I got top scores in Train of Thought and Star Search, plus a memory game where items wash up on a beach and you have to pick ones you have not picked on previous waves. I’m thinking it might be worth focusing in on one particular game for a week at a time and seeing how much I can improve. 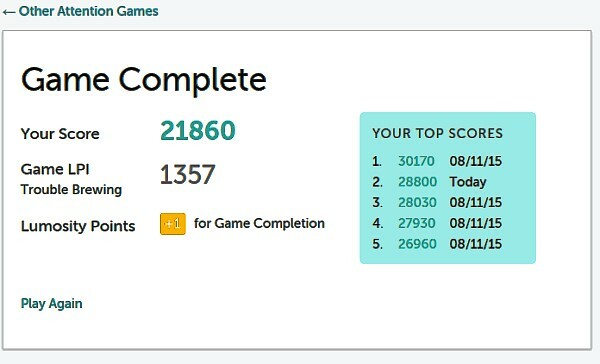 Obviously Lumosity have not paid me anything to say this – in fact I have paid them in order to play the games. Nearly two years ago I bought the family plan – it runs out in November, then it is every man for themselves. 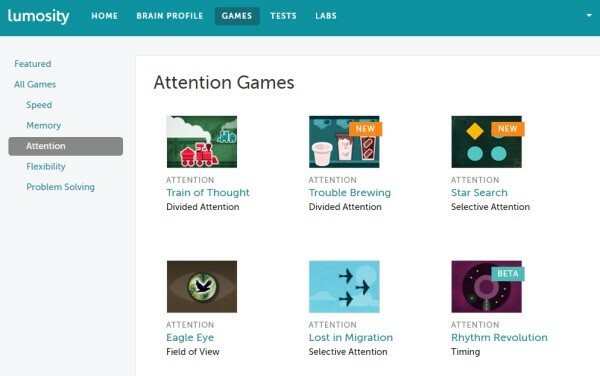 You can likely find free brain training games on the web, if you look for them. I love the convenience, record keeping, encouragement, and the happy and positive vibe of Lumosity. I’m not sure how much the basic plan costs over there but I know I’ll be signing up for it again. 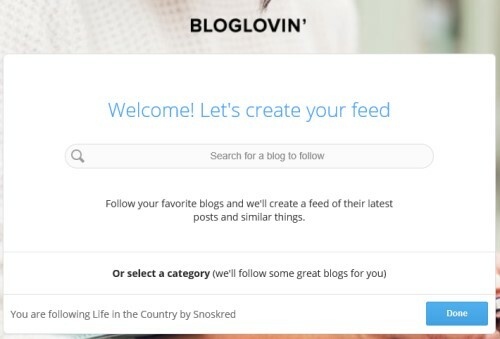 Blogger, Don’t You Lose My Comment! I think I have finally learned my lesson in regards to commenting on Blogger / Blogspot / Google blogs – always, *always* copy the comment I have written before clicking on Publish! That way, if Blogger loses my comment, I can at least paste it back in again. In the course of learning this lesson, I think I have unearthed a couple of clues that might tell you when you will lose your comment for certain. And here they are. 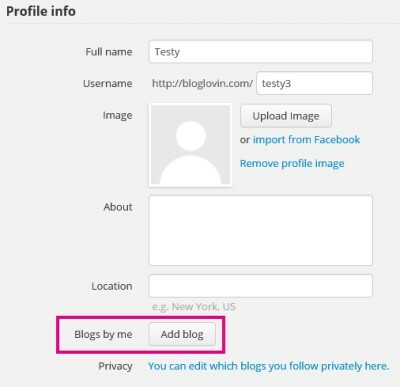 If you are leaving a comment on a blog you are familiar with and you have used the notify me tickbox before.. when you find the notify me box is missing, that is a sign that Blogger does not know who you are, and therefore does not know where it should email any future comments. If the notify me box is missing, this is a sign that when you hit publish, your comment will disappear into the ether never to be seen again. Another way to double check if the notify me box is present is to make sure when you tick the box, the correct email address appears, as you see above. 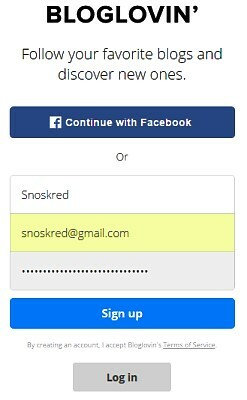 If it doesn’t look like this, you may not be signed in properly. If you hit publish, your comment will probably disappear into the ether never to be seen again. 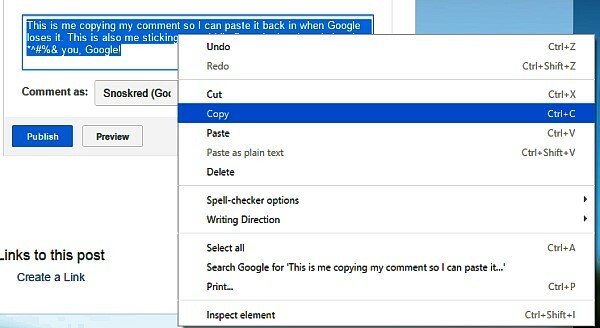 Google/Blogger/Blogspot can lose your comment but if you have copied it, you can paste it back in! Always do this, but especially if you have spent significant time writing your comment. 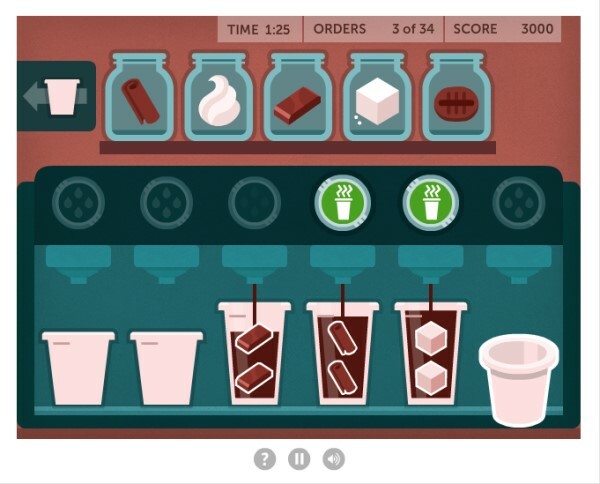 This is your number one way of giving a huge middle finger to Google! You can lose my comments Google, but you cannot take my SANITY! :) or, my ability to hit right click, copy. This is a good habit to get into wherever you are commenting, because sometimes things go wrong and your comment may vanish. With that said, Blogger loses my comments way more often than any other blogging platform. 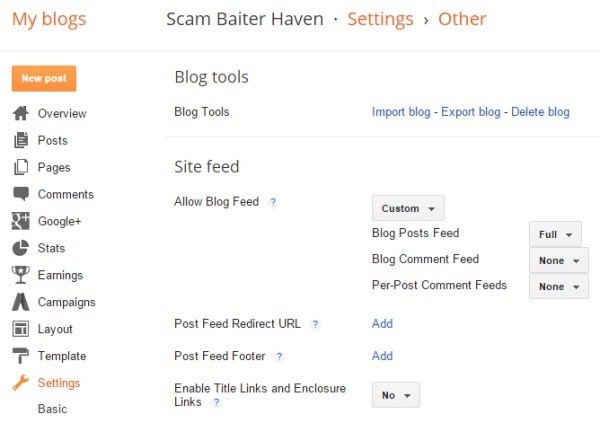 Do you have a blogger blog, but you do not have a notify me box? 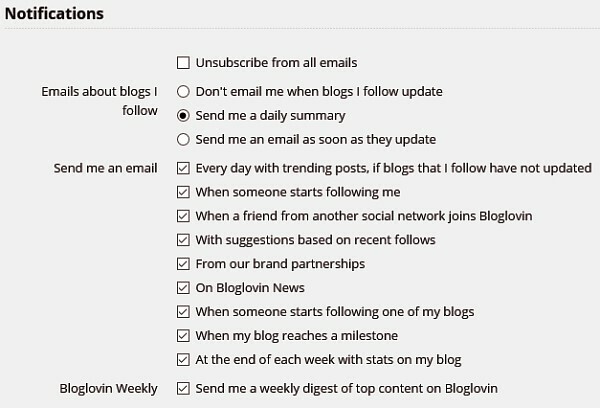 Check out this post – How To – Add Tickbox For Blogger Comment Emails. I often see bloggers inviting other bloggers to participate in a blog award, or a weekly challenge, or even just asking other bloggers to provide links to blogs that they enjoy reading. These days probably 75% of the time, it seems that bloggers are not using any of the link up tools that are available out there on the interwebs. I often think the major reason for not using these tools is because people tend to think these tools are a lot more complicated than they actually are, that setting up an account is time consuming, that it is all Too Hard.. but as this how to guide will show you, that is not the case at all. If I told you that within the space of 10 minutes, you could create your account *and* your first link up, would you give it a try? If I am honest, it is more likely to take around 5 minutes, given it took me 6 minutes and I was taking screenshots and editing them in between. Now I’m going to show you how to use one of the completely free, easiest and simplest link up tools which can save you a lot of time and energy PLUS make it easier for people to link up to whatever it is you have going on at your blog. 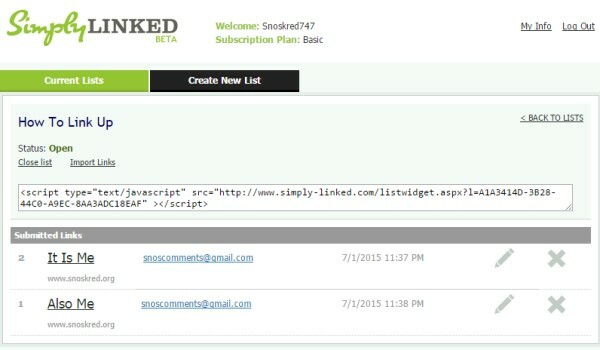 The tool is called Simply Linked. First up, we have to create your account. 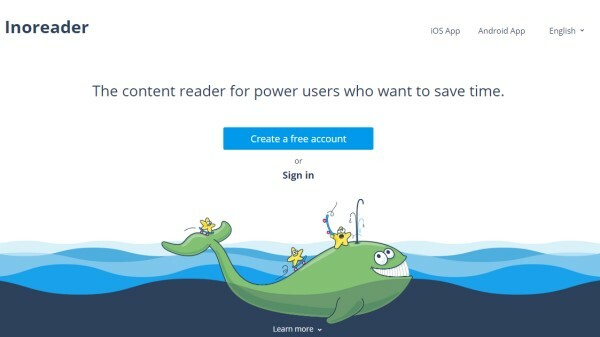 Click on Sign up for a free account. You only need to provide 6 details as seen above – your name, email address, name of your website, website url, username and password. When you’ve filled in the boxes, hit submit. And you have created your account. Easy, no? So click on the link to go back to the home page and log in. 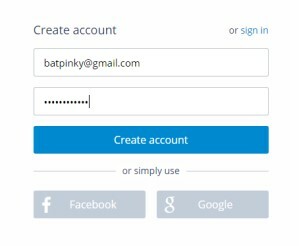 Type in the username and password you just created, and hit submit. You’ll then find yourself logged in. There is not a lot to see here, because you have not created any link ups. So let us create one. Click on Create New List. Put in your link up name, and choose standard as the option. Click on create list. It really is that simple. In fact, even with me taking screenshots, I had created my account and my first link up within 6 minutes. 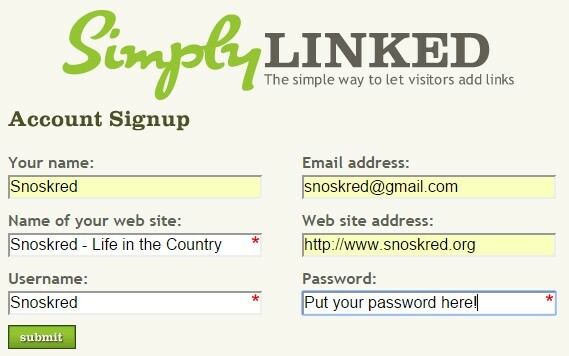 To create a new link up while logged in is only as long as it takes you to type in the title. 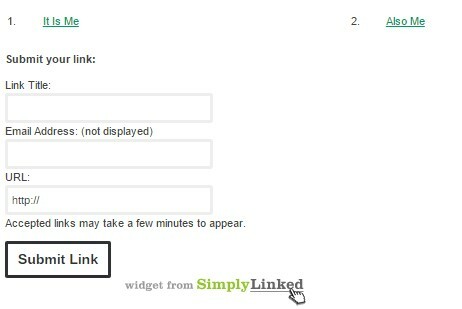 Once you have created a link up, you can view it via the current lists screen, just click on current lists. To view the links which have been added, click on the link up name. 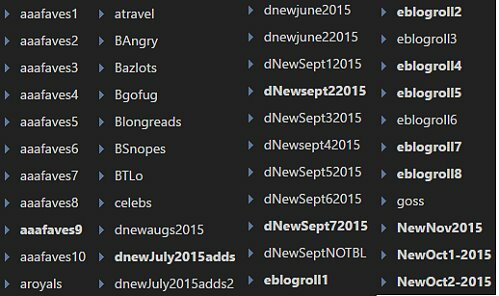 Once people start adding links, you can choose to edit or delete them. Added links will appear at the top, above the place where people can add their links. 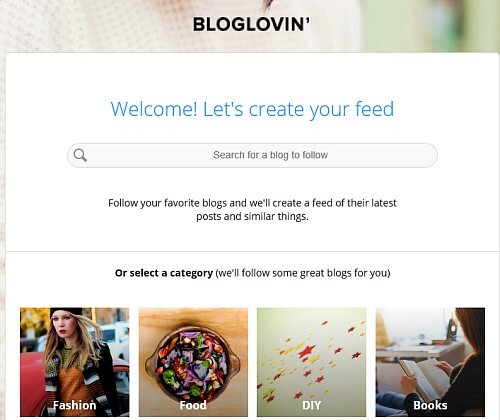 The best thing about this tool is – everything remains within your blog. 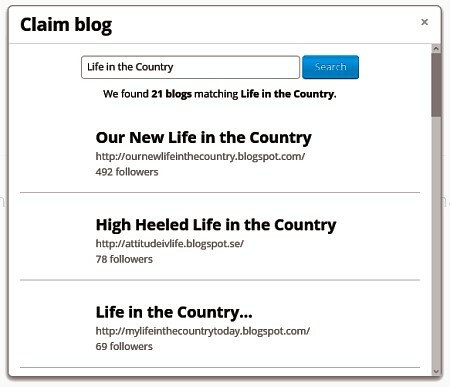 Nobody is being sent elsewhere – they add their link within the post you’ve written. Here is a test link up, so you can give it a try right here if you like, I also want to see how it goes through on my feed.. 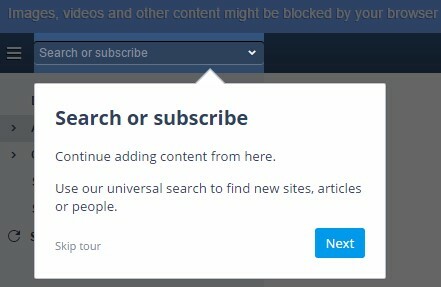 This link up tool does not give you the option to use thumbnail images at all. There are link tools available which will allow people to add thumbnail images but *all* of those tools cost money. 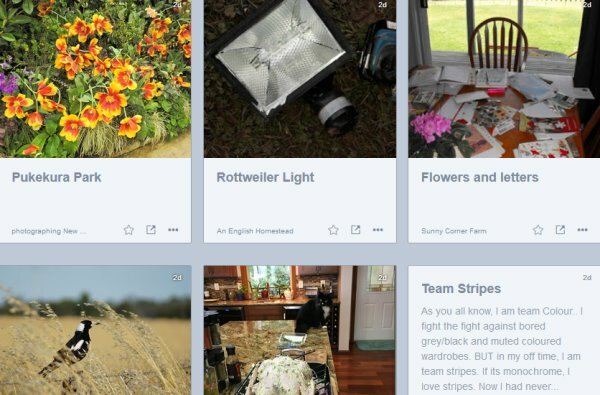 The tool I use here – Inlinkz – is a little more complicated to create a basic link up, and Inlinkz costs me $20 a year to allow thumbnails and have some extra options, eg I can allow my link ups to remain open forever. 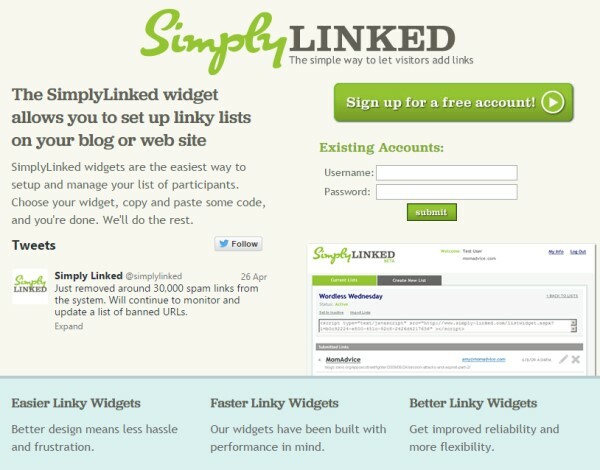 Simply Linked is a good, basic, free option. 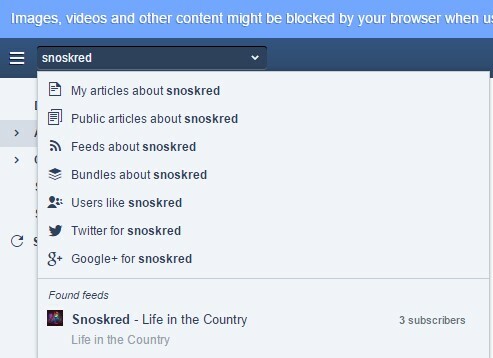 You do have to keep an eye on your links to make sure nobody adds any spam – this is one reason why I would suggest that you close off link ups after a certain amount of time has passed. I am assuming they will add other options which people will have to pay for, eventually. 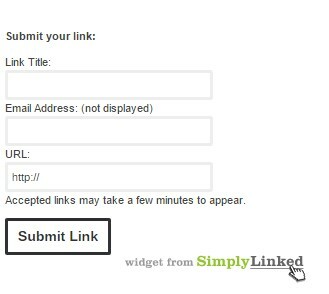 Simply Linked is an excellent option for people wanting fast and easy to create link ups. Will You Use This Tool? 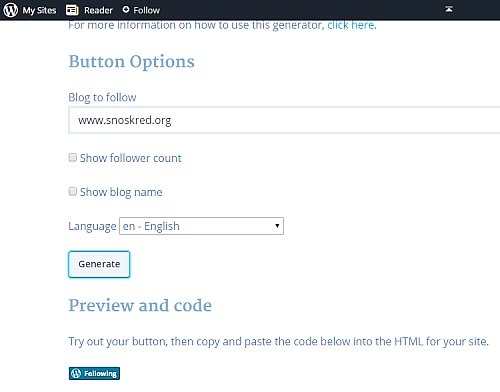 Over to you – let me know, do you think this is a tool you could use on your blog? Why yes, that is a super long title but I have posted it in the hope that it will end up on the very first page of multiple search engines because I searched for a how-to do this for several hours the other day with zero luck.. Giving up on searching via Dogpile, Google, etc, I then searched wordpress.org support and also the support forum for the Jetpack plugin. I could find plenty of people asking how to do this, and zero answers. I ended up having to lodge a support ticket and I got an answer back which helped me work it out. A lot of people when they receive the answer seem to keep it to themselves – not updating their support threads with the answer – which is probably why I could not find it, no matter how hard I searched. So here is the answer for anyone looking for it! 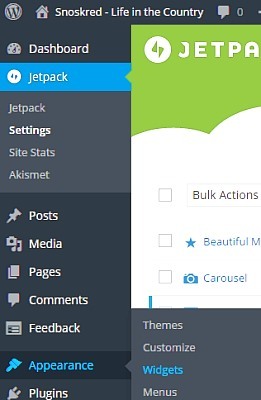 Important note – for this to work, you need to have the Jetpack plugin enabled on your self hosted wordpress blog. 1. 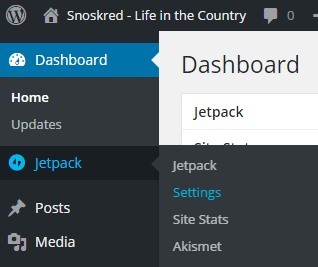 Go to Jetpack –> Settings. 2. Activate JSON API within Jetpack – also take note, you will need to leave this activated for the button to continue to work. 3. 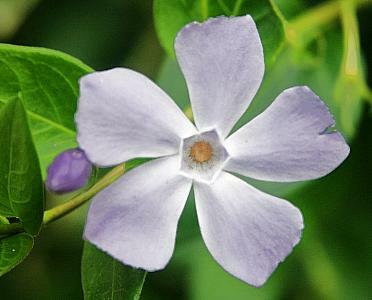 Visit the Follow Button Creation page. 4. 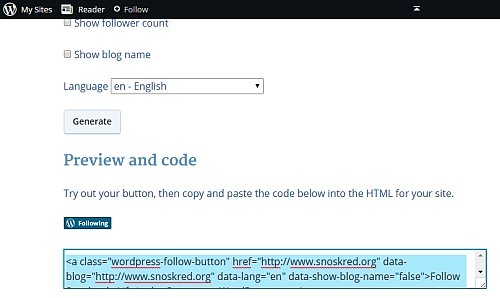 Scroll down to the area where you can enter in your blog URL. 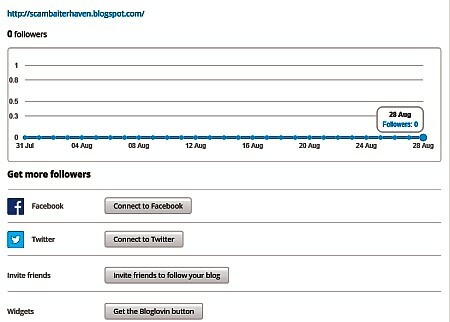 Enter it, then decide if you want to show how many followers you have, and whether you want to show your blog name. 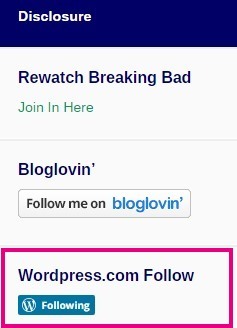 If you have a long blog name like mine, the button will be super long! Then, hit generate. 5. Copy the code which has been generated. 6. Go into your add widget area within appearance. 7. 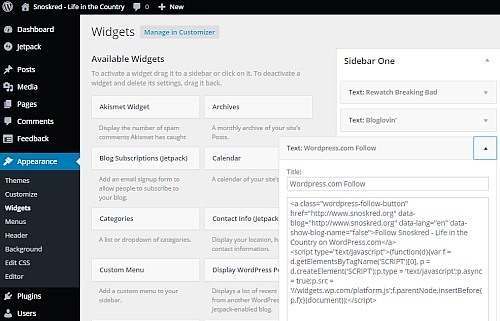 Paste the code into a text widget on your self-hosted wordpress blog. Hit save, and you are done! Happy moments! :) And Whew, thank the deities that is over. 1. 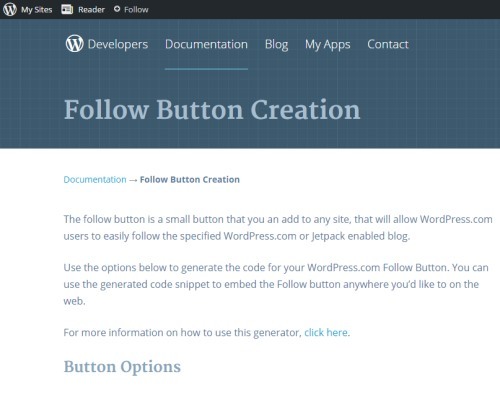 In Appearance –> Widgets – scroll down the page until you see Follow Button. 2. 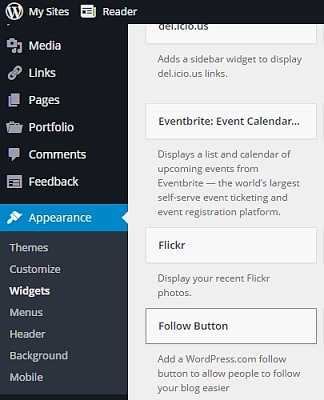 Drag and drop the follow button over to your sidebar. 3. Click on the little drop down arrow to see the options, adjust your options to suit and then click on save. 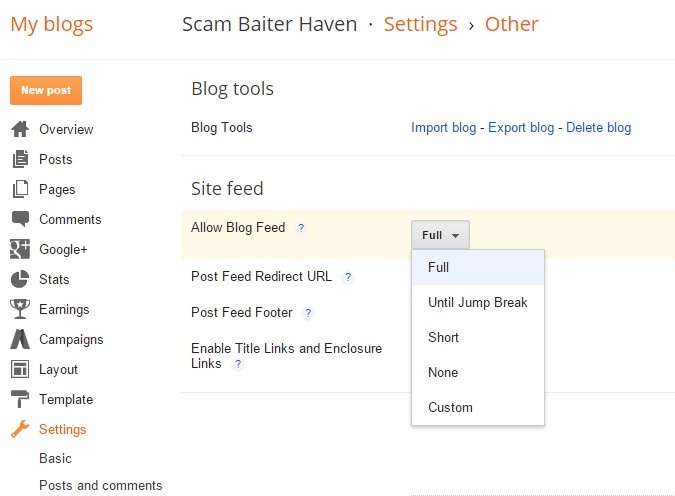 In setting your blogger blog to be full feed, you might accidentally cancel out the opportunity for your comments area to contain the all important “Notify Me” tick box – this tick box allows your commentators to choose to receive follow up emails when other commentators leave a comment. 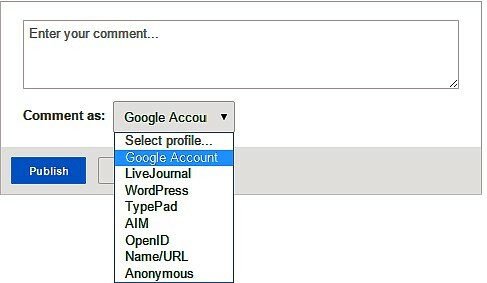 Go to Settings –> Other –> Site Feed –> From the drop down box, select custom. 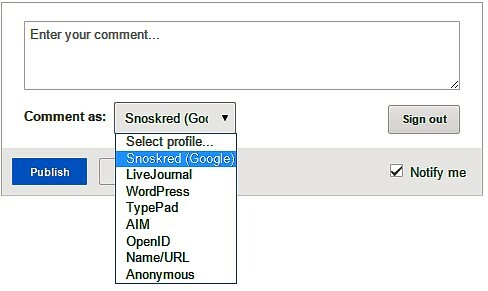 Then, leave site feed as full, but turn off blog comment feed and per post comment feeds by selecting none as the option. Click on Save Settings in the top right hand corner. 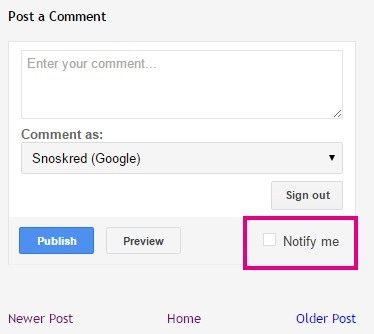 When you go back to your comments form, you should now see the tick box in the bottom right hand corner which says “Notify Me”. When your commentators are logged into Gmail and they click on notify me, it will advise them which email address replies will be sent to, as you see above. Do you like to receive follow up emails for blog comments?